Props to the folks working the concession stand at Section 128 of Citizens Bank Park. Our wait time on getting gluten-free hot dogs at a Phillies game this week was less than 30 seconds, a far cry from the early days when we had to hang out for more than 10 minutes. I hope this is the norm, rather than the exception, as a result of increased demand. 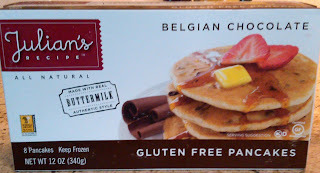 This week, I posted on the blog a review of Rudi's new gluten-free hot dog rolls and hamburger buns. If you're a fan of his Throwdown show on the Food Network, you know that celebrity chef Bobby Flay has featured some local gluten-free-friendly eateries, including Paesano's Philly Style, run by Peter McAndrews. McAndrews has a new Sicilian BYOB in South Philadelphia called Monsù (901 Christian St., 215-440-0495), which garnered a respectable two-bell rating from Inquirer food critic Craig LaBan last Sunday. Monsù, like the chef's other sit-down restaurant Modo Mio, serves gluten-free pasta and bread and many other selections are gluten free or can be modified. McAndrews's children have celiac disease, and so he and his staff are well aware of cross-contamination concerns. Most of the menu at the just-opened Fare (2028 Fairmount Ave., 267-639-3063), in Philadelphia's Fairmount neighborhood, will be gluten free, including desserts, chef Tim Bellew tells me. Fare, aiming to serve healthy, organic food, will have gluten-free bread on hand for dishes. According to Bellew, wheat will be used sparingly in the kitchen, and the staff will take care in prepping the gluten-free items. Fare features a full bar, with about 40 wines by the glass. Thanks to reader Winnie C. for letting me know that Guiseppe's Pizza in New Hope (473 Lower York Rd., 215-862-1740) now offers gluten-free pizza, pasta and desserts. Perhaps you're heading to Cape May for Memorial Day weekend or sometime this summer. The Union Park Dining Room (727 Beach Ave., 609-884-8112), which serves dinner Thursday through Sunday, has a gluten-free menu. The nearby Mad Batter Restaurant and Bar (19 Jackson St., 609-884-5970) notes gluten-free selections on its dinner menu. Davio's in Center City Philadelphia (111 S. 17th St., 215-563-4810) has added Redbridge to its beer list to complement the restaurant's gluten-free menu. Simply Fondue in Mays Landing, which accommodated gluten-free diners, has closed. Through Saturday, the Gluten Free Deals half-off site is offering a discount for online-only orders at Wynnewood's Main Line Bakery. Buyers can spend $10 to get $20 worth of gluten- and dairy-free baked goods. 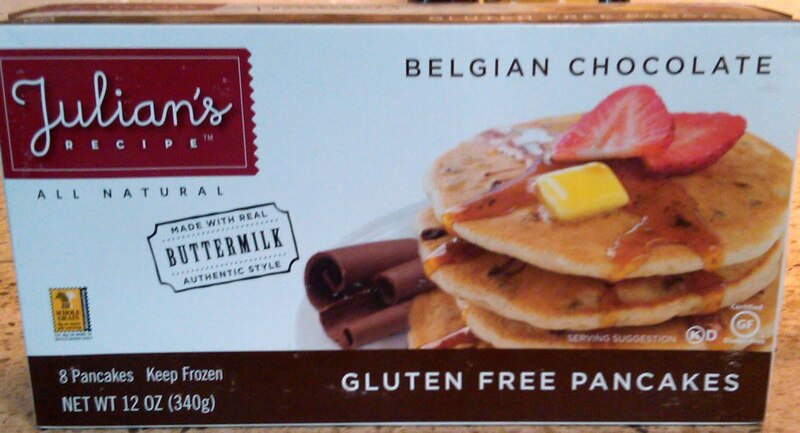 Udi's Gluten Free Foods is developing a frozen pizza to add to its growing line of gluten-free baked goods, according to a blog post by the company's CEO. 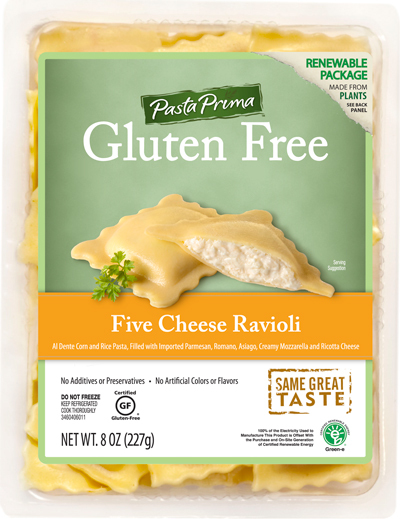 A California pasta company is bringing innovation to the refrigerated pasta section with gluten-free ravioli. 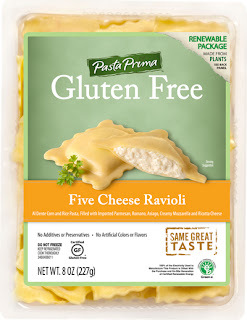 Certified gluten free by the GFCO, Pasta Prima's new line, made with a blend of corn and rice flour, will launch this summer with two flavors: Gluten Free Butternut Squash, blended with parmesan cheese and sage, and Gluten Free Five Cheese, made with fresh ricotta and mozzarella mixed with imported parmesan and Romano, and aged Asiago. Murry's new frozen boneless chicken Wing-Its, in buffalo and honey barbeque varieties, are gluten free. Want to learn how ice cream and iced tea are made? (Better that than sausage.) Check out the Turkey Hill Experience in Lancaster County, set to open on June 4. Turkey Hill Dairy, of course, produces many gluten-free ice cream flavors. There are a few gluten-free-themed events in the weeks ahead. On Thursday, June 2, Sur La Table is hosting a Gluten-Free Dinner Party class at its King of Prussia location. That same night, La Cucina at Philadelphia's Reading Terminal Market will be the site of nutritionist Genevieve Sherrow's gluten-free cooking class. She will also be leading a second class there on Saturday, June 25.